Its time to end this event with pirates, like Blackbeard! Join us right after the jump for the final act walkthrough! Lisa: Eek! The town is overrun with rats! Lisa: Ugh. Can’t believe I just said “eek”. Moe: You call this overrun? This ain’t overrun. I can still see the floor, most places. Homer: Hey, if I got rid of the rats, do you think THAT would make Marge love me again? Moe: Shrug. That’s how uninvested in your question I am. I’m actually saying the word “shrug” out loud. Homer: I’ll take that as a “yes”! Artie Ziff: It’s pronounced Marrrrrge, ye beached whale. And that’s me girl yer talkin’ too. Homer: Alternate Timeline Pirate Artie Ziff! Artie Ziff: That’s Arrrrrtie — with five rrrrrs. I’ll hear if you miss one. Homer: This is it! I can make Marge love me if I save her from a life of hatch-battening, parrot-swabbing, and buckle-swashing. Homer: I’m assembling a pirate crew, and I need recruits! Lenny: What are the terms of employment? I’ve been cheated by pirates before. Unbelievable, I know, but true. Homer: I’m looking for fifty good men. Every man gets 100% of all booty plundered. Lenny: Make it 110%, and you’ve got yerself a crew. Carl: Your men are ready to fight and die for you, Cap’n Homer. What are your orders? Homer: Shiver those timbers, men! Hoist up the keel! Avast those mateys! We’re huntin’ Ziffs! Homer: If we’re to stand a chance against Pirate Captain Ziff, my crew, we’ll need to sharpen yer skills. Carl: You mean like sailing, sword fighting, and swashbuckling? Homer: I was thinking more of drinking rum, sea shanties, and drinking grog. Moe: Can we skip the shanties? Homer: Done and done. Begin training montage! Homer: I love you guys. I mean — *hic! * — fifty lashes to the first one of ye that forgets to tip his cap at me, but still… I love you guys. Moe: Homer, we’re running out of rum, we keep sailing in circles, and I got scurvy. Mind you, I had it already. Sea Captain: Arrrrr. As a man of the sea, I may be able to help. Let’s cheat. Homer: Cheat? But I’m a pirate! It is simply not done! Moe: What if we stop pretending we’re in pirate times, and we use modern guns, radar, and computers to take down our foe? Homer: Wait, we have access to those? Know what? Fine. You do a time travel story, this is what you get. Artie Ziff: This isn’t the last you’ve heard of me! 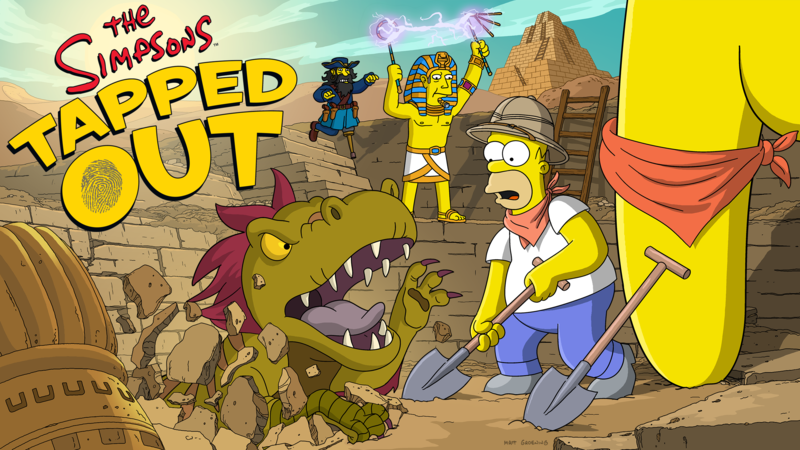 I shall return in Pirates of Springfield 2: On Dumber Tides! Homer: Marge? Marge, honey, I’m home! Ned: Well hidely-ho, fellow flatmate. Who’s this Marge fella you’re jabbering on about? Homer: Flanders?! We live together? Is Jesus okay with this? Ned: Who cares? You know I’m an atheist. Homer: Wow. I miss Marge, but I gotta admit — it’s pretty great hearing you say that. Homer: I must go try to find my Margie, stupid atheist Flanders. But please know I will always detest you slightly less than regular you. Homer: Moe, gimme a beer, and keep ‘em coming. I’ll never get back to my Springfield. Or my Marge. Moe: Homer Simpson?! Since when do YOU drink? Homer: Of all the Springfields in all the multiverse, I gotta end up in the only one where I’m not cool. Homer: Marjorie, I don’t know if we’ll ever be together, but I want you to know you’re the most wonderful thing that never happened to me. Selma: Out of the way, fatso. Homer: Let me guess, now WE’RE married? Marge: Homer, Patty and Selma are here for our anniversary. Homer: Marge! I did it? I found a world where we’re together? Marge: Of course we’re together! How could I forget the man who traveled back in time to say I love you? System Message: Congratulations! You’ve saved Homer’s marriage for what will undoubtedly be the last time… until the next time. Join us right next time for more info on this event, happy tapping!